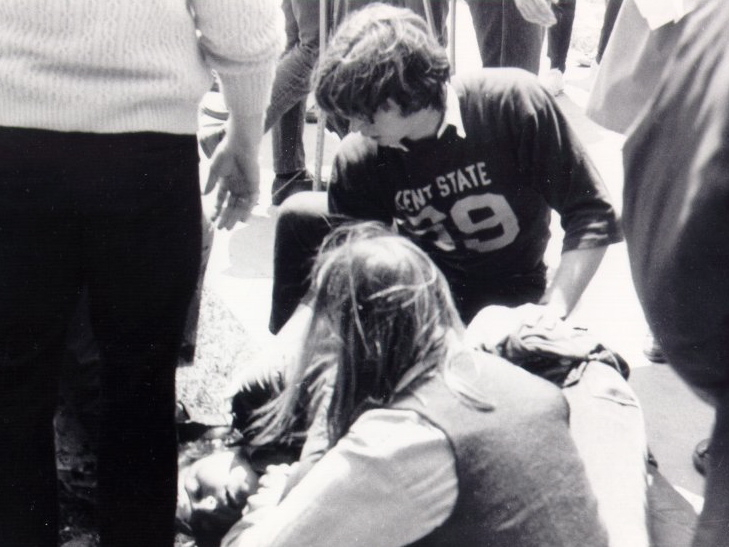 The Kent State Shootings Oral History Project collects and provides access to personal accounts of the May 4, 1970 shootings and their aftermath. 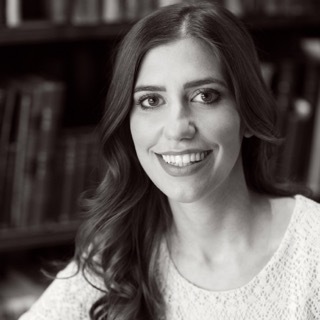 Here are some of the oral histories I worked on at Kent State. The Director of the Kent State University School of Journalism and Associate Dean of the College of Fine and Professional Arts in 1970 relates his memories of the events surrounding the shootings on campus. He discusses Terry Norman, coverage of the events in campus publications, the completion of classes after the campus had been closed, and Kent State alumni who have gone on to distinction in photographic journalism. A professor in the Counseling and Personnel Services Education Department at Kent State University in 1970 discusses his experiences. He describes the contrast he observed between the peaceful atmosphere on the Kent State campus during the 1960s when he was a graduate student working on his Master’s degree with the unrest and demonstrations he witnessed at Harvard where he completed his Ph.D. He relates his observations when he returned to Kent State as a young faculty member in 1969 and describes events leading up to the 1970 shootings as well as his experiences living in Kent close to campus and the turmoil during that time. Arthur Krummel was a member of the 145th Infantry, Ohio Army National Guard and was on duty on the Kent State University campus in May of 1970. In this oral history, he relates his memories of the days surrounding the shootings on campus. He discusses his unit’s prior experience guarding the truckers’ strike, the weapons used, the level of training they had received, and the duties he was given guarding locations and at roadblocks. He discusses the crowds and the general mood of people on campus and confrontations he witnessed between civilians and National Guardsmen. He was guarding a site off campus when the shootings occurred; he describes what he observed back on campus shortly afterwards. The Director of Forensics and Assistant Professor of Speech at Kent State University in 1970 describes his involvement in pivotal events leading up to, during, and after the shootings. Moore discusses his involvement in the incident at the Music and Speech Building in 1969, his role as chairman of the American Civil Liberties Union, and his participation in the Kent Legal Defense Fund. An undergraduate student at Kent State University in 1970, Joseph Sima relates his memories of the days surrounding the shootings; he describes the helicopters, tanks, tear gas, and weapons that he saw. He was in the Student Union when the shootings took place. He discusses what he knows about Terry Norman and his experiences trying to give the information he had about Norman to the FBI and to government officials. Sima reads from a prepared statement during part of this interview. A professor of psychology at Kent State University in 1970, Dr. Robert Treichler relates his memories of the events surrounding the shootings on campus. He discusses how the Psychology Dept. coped with the effects of the campus closure, including the difficulties involved in taking care of the numerous laboratory animals left behind, the need to set up a temporary off-campus location so that the Dept. could remain in contact with its graduate students, Ph.D. studentsÃƒ Ã‚Â¢ research and data collection coming to a halt, and Treichler holding his classes at his home in Tallmadge. He describes the military presence in the city of Kent and on campus and relates his memories of Monday, May 4; he was on campus and had just left from having lunch at the Student Union when the shootings took place. He also discusses what it was like being on the Kent State campus the following fall. 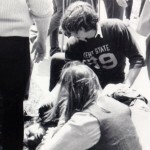 An instructor in the Kent State University School of Technology in 1970, Lowell S. Zurbuch relates his memories of the days surrounding the shootings on campus. He describes the military presence on campus and describes what he saw on campus on Monday, May 4. He was walking on campus and was near the Commons when he heard the shots and describes seeing students running and crying shortly afterwards. He discusses the atmosphere on campus during the 1960s, how he completed teaching his classes in the spring of 1970 at a Lutheran Church in Kent, and also what it was like returning to Kent State in the aftermath of the shootings. Image: Injured student receiving medical attention, Ohio State Highway Patrol photographs, Kent State University Special Collections and Archives.